If your business is like most, you’re probably concerned with being a good corporate citizen, especially when it comes to the subject of environmental responsibility. We all want to do our part to reduce our impact on the environment and part of this concern is using less natural resources. You may well have already installed more energy efficient lights and office equipment in your main office, try to minimize the gas usage of your company vehicles and you may even have switched to sustainable, eco-friendly building materials. 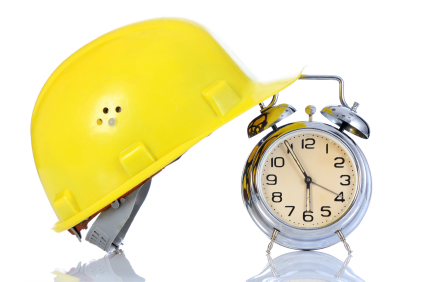 All of this is well and good, but another thing you can do to reduce the amount of waste your firm generates is to start using an electronic contractors time clock on your company’s job sites rather than the hand written time sheets which have been the rule in the construction and contracting businesses. You probably don’t think of the time sheets your employees use to keep track of their hours each week as a major source of waste, but just think of how many of these weekly time sheets your firm goes through in a year; and you most likely simply discard or recycle (hopefully recycle) these time sheets after you’ve completed putting together your company’s payroll. Even if this is the case, it’s much better not to use the paper in the first place by replacing this decidedly low tech method of portable time tracking with a mobile timekeeping system like the Job Clock. Unlike time sheets, the JobClock doesn’t involve any kind of consumables which need to be thrown away afterwards (or purchased regularly, for that matter). Along with the savings your company will see from eliminating these recurring purchases from your budget, you’ll also see far larger savings from keeping your labor costs down to exactly the time your employees actually spent at work. The accuracy and accountability you’ll gain by using a contractors time clock of this type to handle your firm’s time and attendance needs is worth the price of admission alone, not to mention the good feeling you’ll get from knowing that you’re not wasting all that paper each year anymore. Of course, if your own sense of environmental consciousness doesn’t move you, the savings will – many companies find themselves saving literally thousands or tens of thousands of dollars per year by using a portable time tracking system on their remote job sites. Easy to use, cost effective and environmentally friendly, a portable time clock which can be installed on the job site (and moved as necessary) is yet another way that your business can not only save money, but do its part to save the environment as well. Every little bit helps, both in terms of environmental protection as well as your company’s bottom line and the Job Clock can help you get a little bit of both.